The medical term for the human growth hormone (HGH) made naturally by the body is Somatotropin. 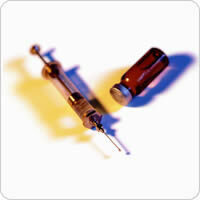 The HGH used for injection is synthetic (recombinant) and the generic term is Somatropin. HGH For Injection is one of the most expensive drugs with a cost that usually ranges between $800 and $3,000 per month, with high quality U.S. brands such as Eli Lily and Genentech costing more than brands obtained from China and other countries. Some brands come in vials that contain a powder which must be reconstituted with bacteriostatic water prior to use. The vial must then be refrigerated and remains stable for only a short time after reconstitution. 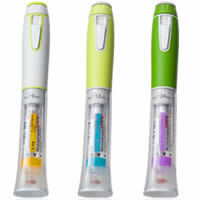 There are now also convenient and easy to use dosage pens that are already mixed and some do not require refrigeration. A prescription is always required. Human growth hormone is not an anabolic steroid but has similar effects. Anabolic steroids are synthetic substances that do not exist in nature. 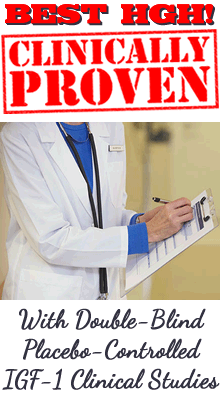 HGH is made naturally by the pituitary gland in the body. The injections are popular among athletes and bodybuilders trying to build muscle and strength the easy way because it cannot be detected in urine tests. Some now abuse HGH as they abused anabolic steroids. The safety of hormone replacement therapy with synthetic Somatropin continues to be a concern regarding cancer risks since some other forms of synthetic hormones have caused an increase in the risk of cancer. HGH injections can also cause serious side effects such as acromegaly, fluid retention, enlarged breasts in males, painful joints, carpal tunnel syndrome, and liver damage. Also, when a physician prescribes the injections the patient should understand that this will cause their pituitary gland to no longer release its own growth hormone and so they may need HGH injections for life. The amount of HGH used by Dr. Daniel Rudman in his 1990 clinical study, 16.5 IU (international units) divided into 3 doses per week, is now considered too much due to the side effects seen. The latest studies suggest that benefits can be obtained while lowering the risk of side effects by giving smaller, more frequent doses. Lower doses such as 4-8 IU per week are prescribed and are divided into 2 doses per day for 5 or 6 days a week. Patients are taught to give themselves a subcutaneous injection upon arising in the morning and at bedtime. No injections are taken 1 or 2 days a week. The proper dose should be prescribed individually depending on the age and condition of the patient. Qualified physicians begin with low doses such as 0.5 IU per day and slowly increase the patient's dosage in 0.5 IU monthly increments as needed based on their IGF-1 blood level. It should be noted that usually the older the patient the more sensitive they are, so older patients may require a smaller dose than younger patients. Some authorities believe that dosages of over 2 IU per day will cause side effects. Despite what those selling the injections may claim, you don't have to take injections to receive the benefits of human growth hormone if your pituitary gland is not damaged. Leading physicians recommend taking non-injectable HGH products to increase human growth hormone naturally and safely and the injections should only be used as a last resort. (See books written about human growth hormone). Please see this site for the product I take.